Industry-leading wind lidar manufacturers ZephIR Lidar have been invited to speak at a prestigious wind energy summer school in Copenhagen. 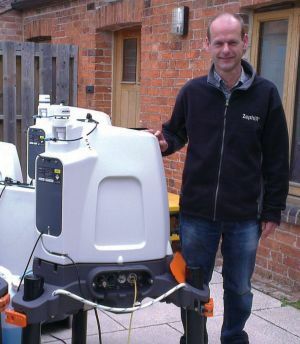 Doctor Mark Pitter will represent ZephIR at The Technical University of Denmarks (DTU) PhD Remote Sensing for Wind Energy programme, a 5-day summer school focusing on advances in remote sensing techniques. He will deliver an overview and introduction to continuous wave (CW) lidar technology and applications on the second day of lectures, which run from Monday 10th June to Friday 14th June 2013.
department of its kind in the world, and is internationally recognised as a world-leading wind energy research institution. Dr. Pitters fellow speakers include professors from DTU Wind Energy, University of Colorado, University of Stuttgart, University of Auckland and Karlsruhe Institute of Technology. The course registration deadline is 31st May 2013. For details on how to attend, email cbha@dtu.dk.